We sell high quality violins, violas, and cellos from our hand selected shop label instruments to workshop instruments from Germany, China, Poland, and Romania, to Master instruments demonstrating the highest level of build and tone quality. 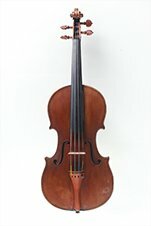 Basic and Advanced rental violins, violas, and cellos are available for 3 month minium rentals. For those who aren't ready to purchase we can apply up to 6 months of rent credit towards instrument purchase! 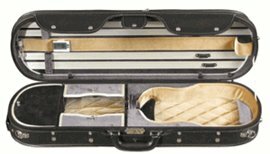 At Heaney Violins we repair and service everything we sell On-Site! We offer outstanding bow rehairing, violin, viola, and cello cleaning, touchups, bridge adjustments, open seam repair. Bow rehair pricing and other services we offer. Offering violin, viola and cello sales and repair services, including violin and viola bow repair and rehairing. All bows are rehaired with premium Mongolian horsehair and the work is done in-house for quick turnaround times. 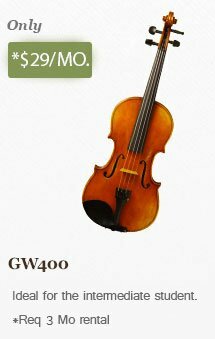 In addition to new and used violin sales, we also offer violin rentals and lessons. We do not sell sheet music, but we highly recommend West Valley Music located on Castro street, Mountain View.